“The Enchanted Forest” by Lyubov Triphonova (www.vk.com/id10329233). 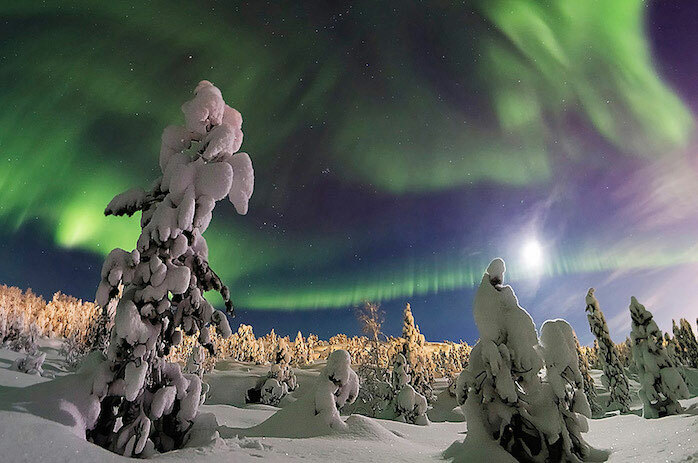 The Moon and the northern lights lit up the snow-covered forest in Murmansk, northwestern Russia, Dec. 2014. A first place winner of the 2015 International Earth & Sky Photo Contest in the Beauty of Night Sky category. The World at Night (TWAN) is once again holding its “Earth and Sky” photography contest. The contest, now in its eighth year, is held in collaboration with Astronomers Without Boarders’ Global Astronomy Month and the National Optical Astronomy Observatory (NOAO). This year’s theme is “Dark Skies Importance.” Similar to TWAN’s mission, the contest aims to reclaim the natural beauty of starry skies and help preserve dark skies not yet dominated by artificial lights. The contest theme has two categories: “Beauty of the Night Sky” and “Against the Lights.” We’ll pick five winners in each category. Photos submitted to the contest should aim to address either category – either educating people on how important and amazing the starry sky is or showing folks how bad the problem of light pollution has become. Both categories illustrate how light pollution affects our lives. The contest is open to anyone, though the standard is increasingly challenging – especially for the judges! Previous entries reveal several interesting things: 1) off-the-shelf digital cameras have changed our perception of the night sky, 2) it’s challenging to compose a picture of something you can barely see, and 3) it’s difficult to find natural scenes that are unaffected by light pollution. The competition is truly international, and last year we had over 800 submissions by photographers from 40 countries. In previous years the contest and the winning photos were widely broadcast by major science news media world-wide such as National Geographic, Sky and Telescope, Huffington Post, Space.com, NASA’s Astronomy Picture of the Day,The Universe Today, and many more! As always, the judges are looking for originality and imagination, combined with aesthetic flair, processing restraint, natural coloration and ideally, a one-shot, in-camera composition, though we have relaxed the guidelines on this a little. Photos must have been taken after December 2014. The contest closes at the end of April, so now is the time! Check out this video to see last year’s winners. Born in England, Malin has been involved in scientific imaging his entire working life. He joined the Anglo-Australian Observatory (AAO) as its Photographic Scientist in 1975 and has since conquered the depths of cosmos with stunning photography through the 3.9m Anglo-Australian Telescope. 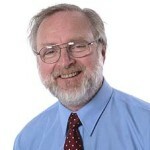 He is also an Adjunct Professor of Scientific Photography at RMIT University in Melbourne. As part of his work at AAO, Malin developed hypersensitization methods for the photographic materials used in astronomy, greatly increasing their speed. His development of methods for detecting faint information on astronomical plates has also garnered him international acclaim. These novel image enhancement techniques quickly led to the discovery of two new types of galaxies, and in 1987 he discovered an extremely faint ‘proto-galaxy’ now known as Malin-1. These new galaxies are among the faintest objects ever detected by a ground-based telescope, and their discovery represented a significant advance in photographic astronomy and a major contribution to galaxy research. The photographic techniques Malin developed to discover them are are now known as ‘Malinisation’. Malin, who has received numerous international awards, was a pioneer in making true-color astronomical photographs from black and white plates taken in three separate colors. His photographs have been widely published and have been on the covers of hundreds of books and magazines including LIFE and National Geographic. His work also graces a series of Australian postage stamps. International solo art exhibitions of his work have been held in Australia, Britain, China, France, Italy, India and the USA.